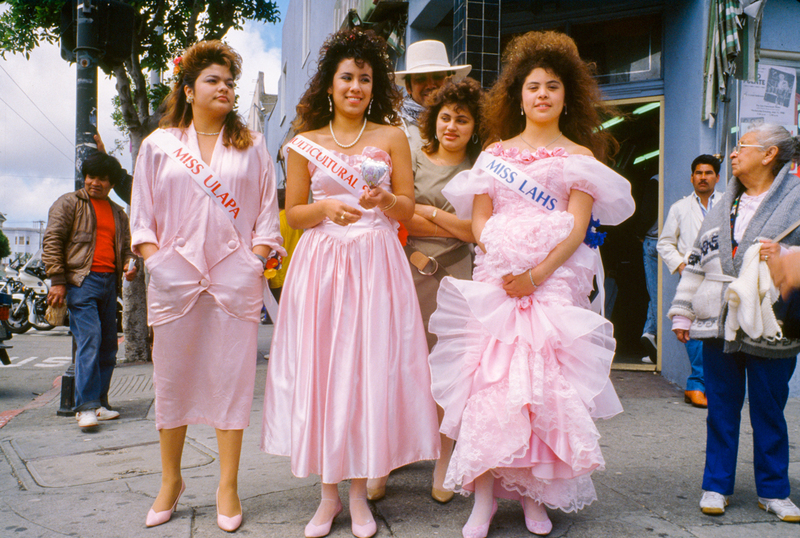 Photographer Janet Delaney captured the city’s thriving public life – from parades and protests, to performances and beauty pageants – in the days before Silicon Valley. 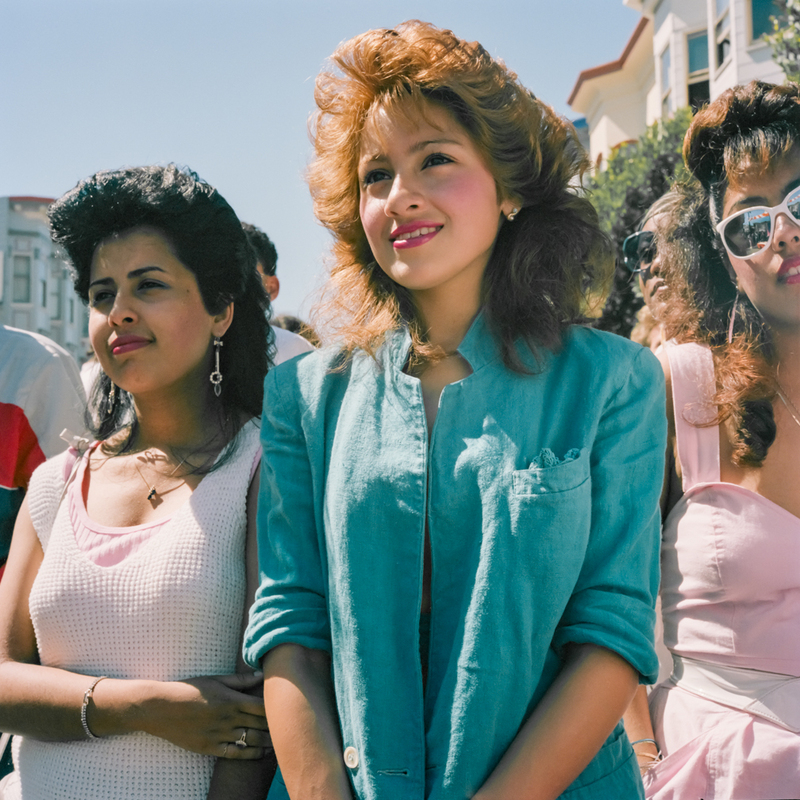 San Francisco in the ’80s was a study in contrasts. 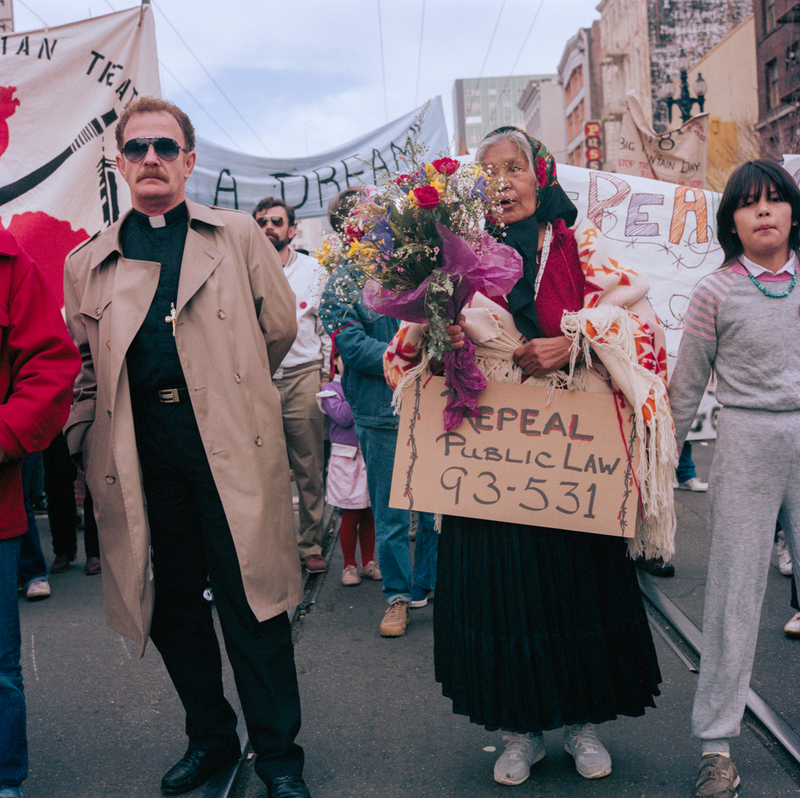 As the shadows of gentrification began to creep over the heart of the city, just South of Market, the people of the Mission took to the streets to protest the policies coming out of the Reagan White House. 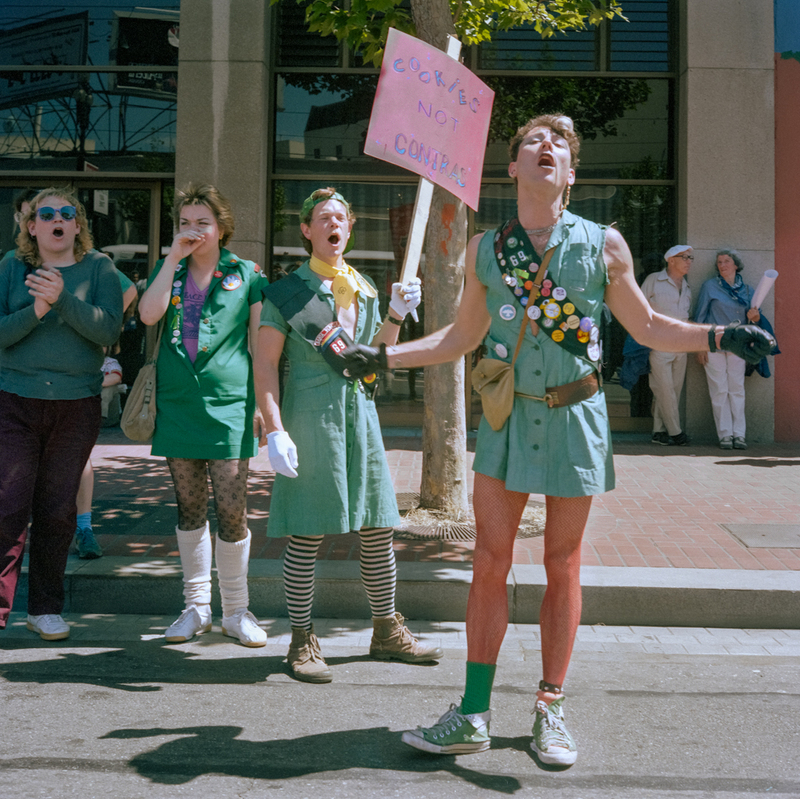 During this time, American photographer Janet Delaney was at the centre of it all, capturing the spirit of public life in parades and protests, performances and beauty pageants. 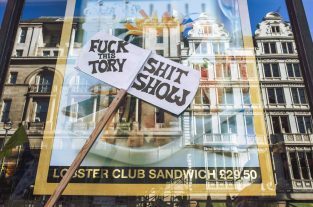 In her new book, Public Matters (MACK Books), Delaney delves deep into her archive to reflect upon the incredible impact of mass gatherings organised to serve the greater good. 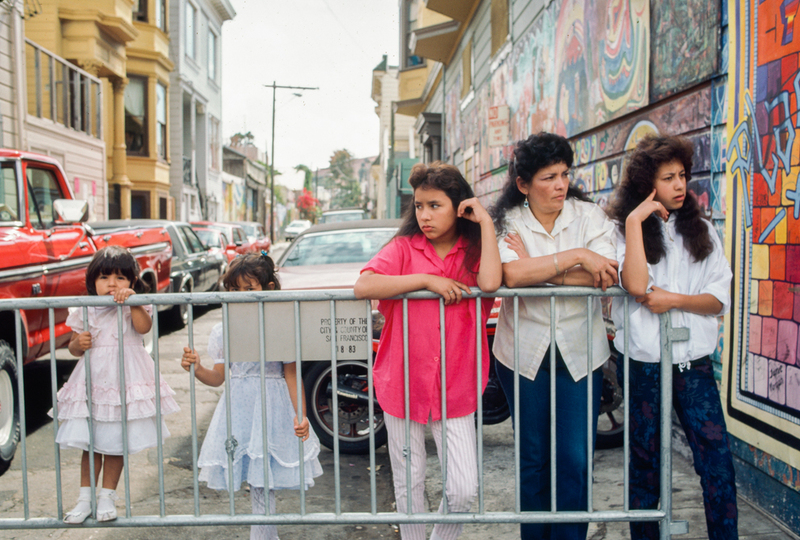 At the time, the Mission was a predominantly Latinx neighborhood, made up of recent immigrants from El Salvador, Nicaragua, and Honduras who were fleeing wars and conflicts that had come about as a result of U.S. involvement. 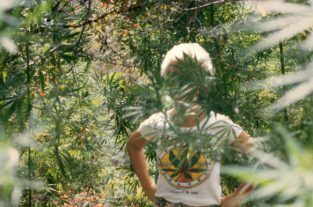 “In the 1980s, San Francisco was exploding with immigrants, not just from Central America but from Russia and Asia as well,” Delaney remembers. Janet Delaney, ‘Three Young Women, 1985’ in Public Matters (2018). Courtesy of the artist and MACK. Janet Delaney, ‘Three Contestants, 1988’ in Public Matters (2018). Courtesy of the artist and MACK. 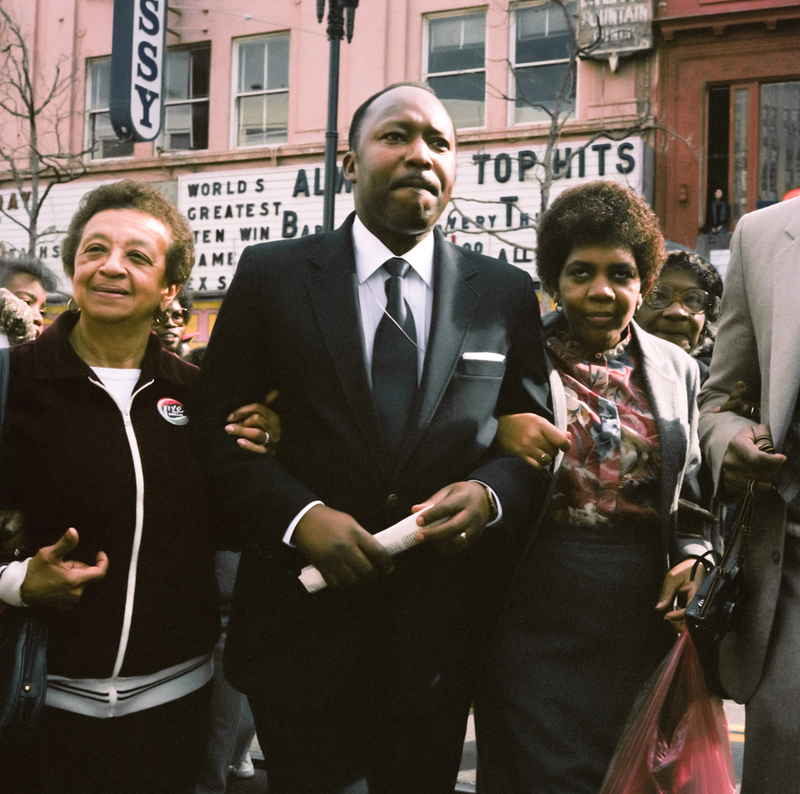 Janet Delaney, ‘Dexter King, Martin Luther King’s Son, at First Martin Luther King Day Parade, January 26, 1986’ in Public Matters (2018). Courtesy of the artist and MACK. 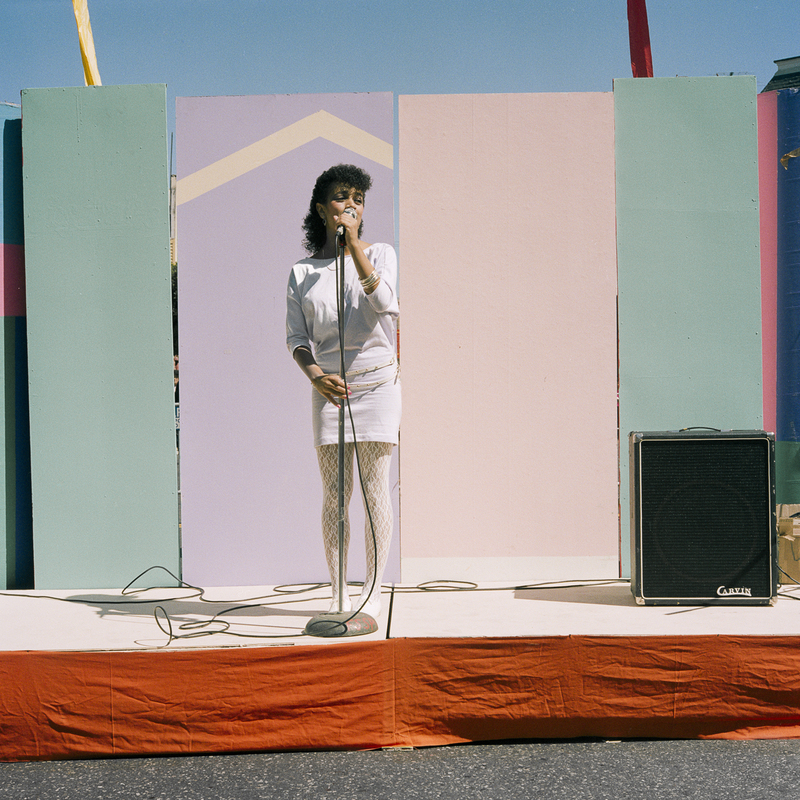 Janet Delaney, ‘Dominque diPrima, on Stage, 1985’ in Public Matters (2018). Courtesy of the artist and MACK. 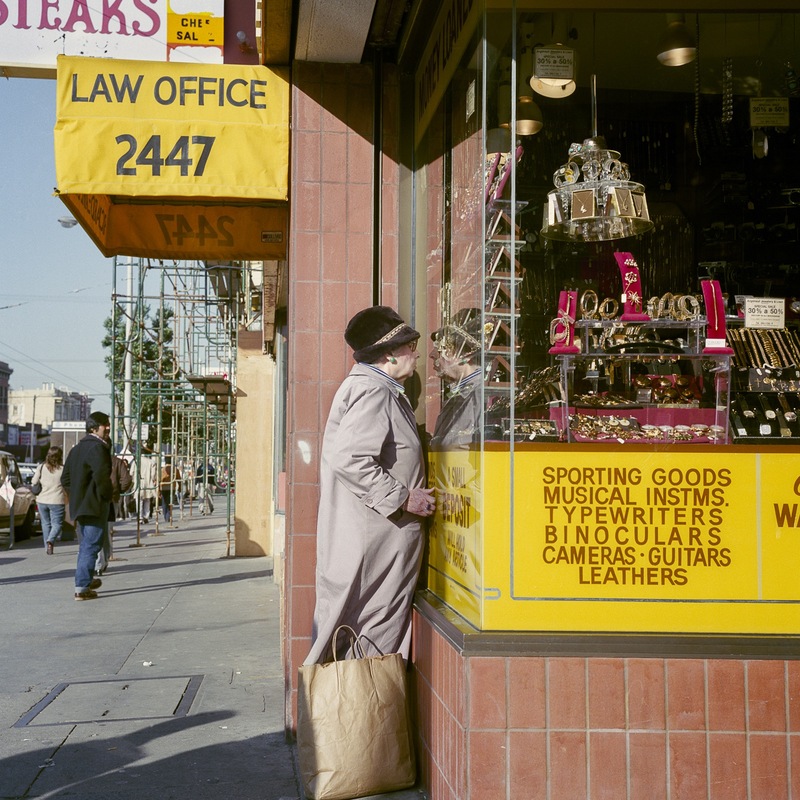 Janet Delaney, ‘Pawnshop, Mission St, 1984’ in Public Matters (2018). Courtesy of the artist and MACK. 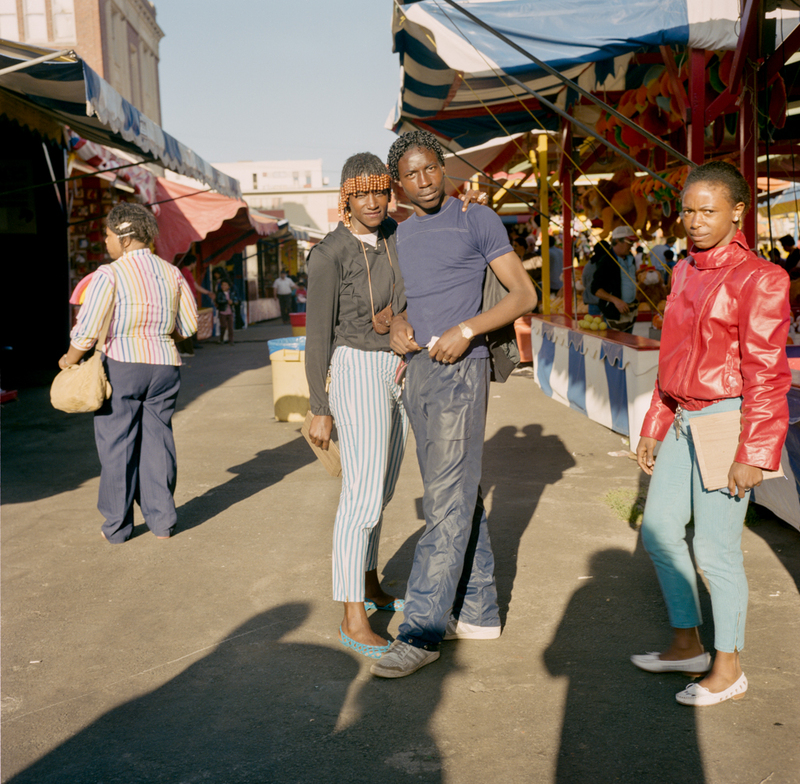 anet Delaney, ‘Two Young Teens, 1985’ in Public Matters (2018). Courtesy of the artist and MACK. Janet Delaney, ‘Mother and Daughters Behind Barricade, 1986’ in Public Matters (2018). Courtesy of the artist and MACK. 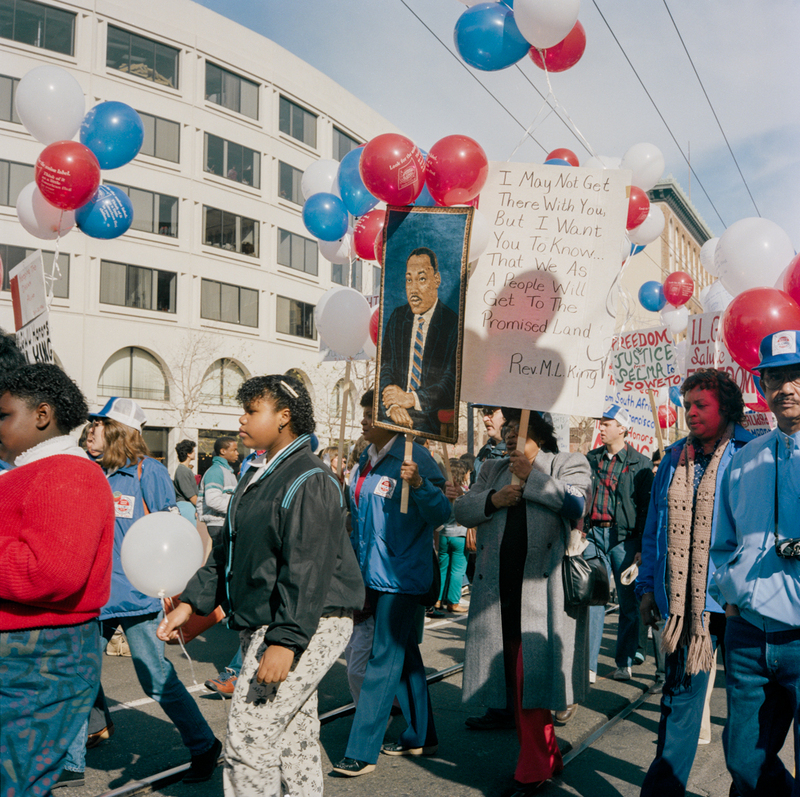 Janet Delaney, ‘“I May Not Get There . . .” First Martin Luther King Day Parade, 1986’ in Public Matters (2018). Courtesy of the artist and MACK. 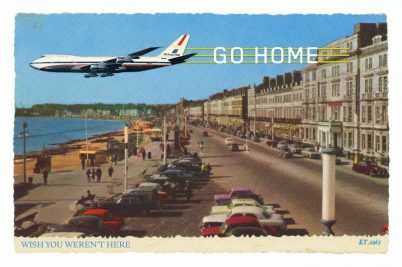 Janet Delaney, ‘“Repeal Public Law 93-531”, (Forced Removal of Navaho from Native Lands), 1986’ in Public Matters (2018). Courtesy of the artist and MACK. 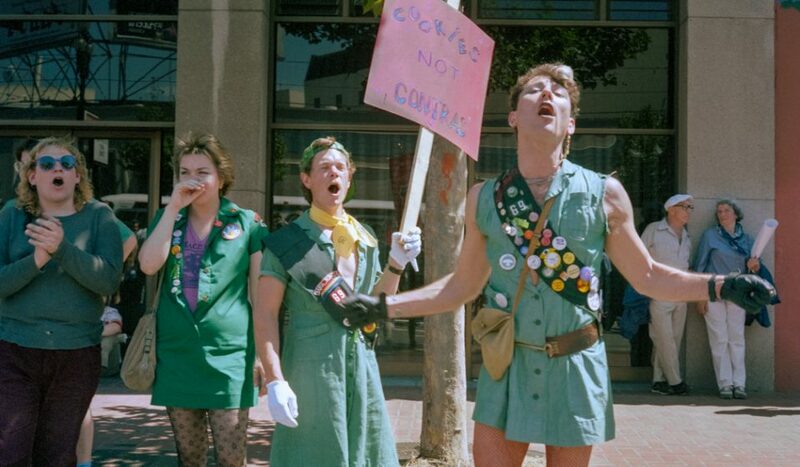 Janet Delaney, ‘“Cookies not Contras”, Peace, Jobs and Justice Parade, 1986’ in Public Matters (2018). 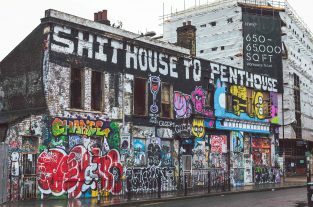 Courtesy of the artist and MACK. Public Matters is available on MACK Books.